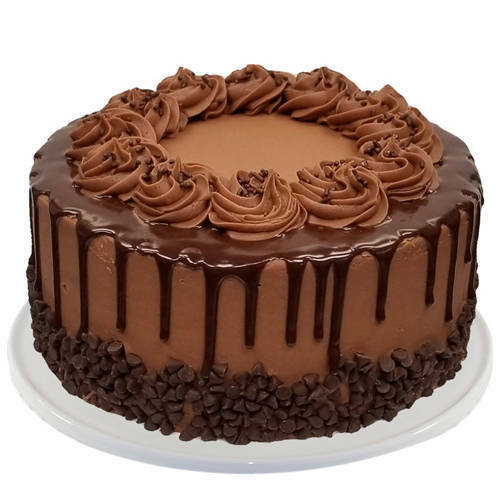 This Appetizing 2.2 Lbs Chocolate Cake from Taj or 5 Star Hotel Bakery is good choice for gifting to your loved on a special event. Create a lifelong impression upon the ones you adore by gifting them this Radiant Mixed Flowers Bouquet with 1 Kg Chocolate Cake from Taj / 5 Star Hotel Bakery that clearly conveys how much you love them. Pretty gift for a pretty person as these Generous 24 Red Roses with 1 Kg Chocolate Cake from Taj / 5 Star Hotel Bakery will convey your message how beautiful the person is to whom you gift it. Celebrate the special occasion of your loved ones by gifting them this Velvety 2 Kg Chocolate Cake from Taj or 5 Star Hotel Bakery.